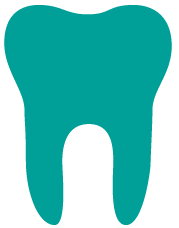 We regularly hear about problems local people are facing when paying for dental care. Although most NHS treatment is free, there are still some costs you might need to pay. The NHS have provided a ‘help with health costs’ page; if you are ensure about eligibility for charge exemptions with health costs please click here to view the page. You can also speak to your local Citizens Advice. If you are unsure of funding for your treatment, we would advise you to pay for your treatment and then find out if you can claim this back. Forms are available on the NHS help with health costs page. 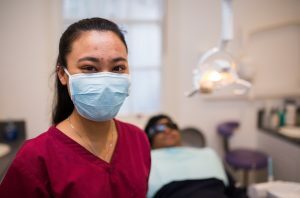 Mildred* visited the dentist a few weeks ago and when asked for payment she informed the receptionist that she is entitled to free dental treatment as she receives Income Support payments. A few weeks later she received a penalty letter from the NHS Services along with the original bill for her dentist appointment. Mildred visited her local Citizens Advice about the matter and was informed that she needed to renew her Income Support Payments annually. After the bureau’s direct contact with the NHS Business Services Authority to prove Mildred was in a vulnerable position, the penalty charge was significantly reduced and Mildred was helped by the Citizens Advice adviser to complete the relevant form (HC1) to receive a certificate to receive reduced-rate prescriptions. Remember, its the responsibility of the patient to ensure they are entitled before claiming free dental treatment. If you claim free treatment that you’re not entitled to, you could have to pay a penalty charge of up to £100, plus the cost of treatment- including prescriptions. For more information, please visit the NHS Business Authority website. If you have any questions about dental costs, you can contact us. NHS England launches campaign urging patient to ‘check before you tick’ for free prescriptions.